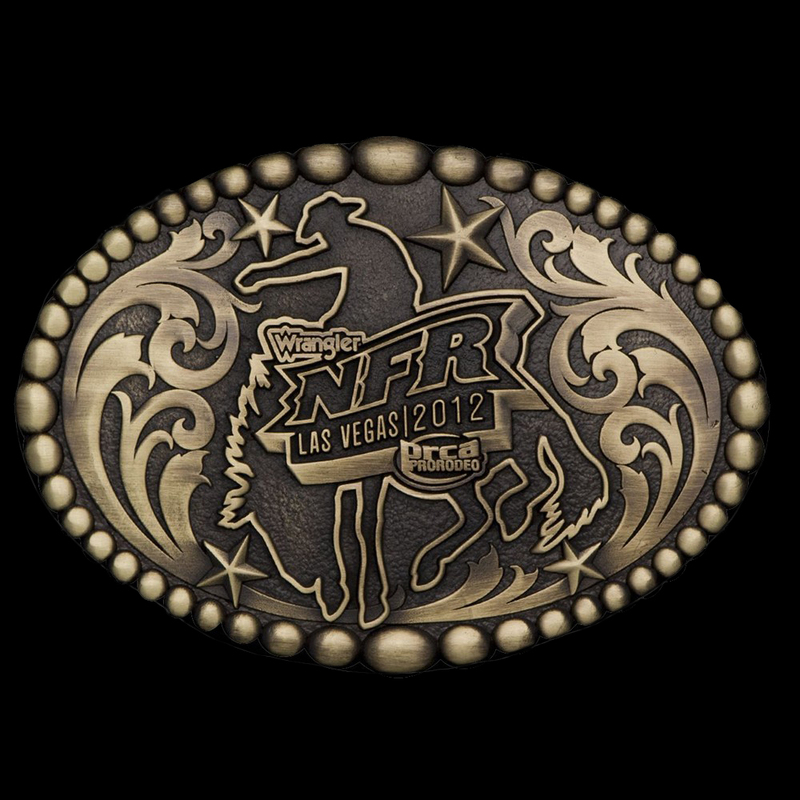 2012 NFR Buckle - CLOSE-OUT!! 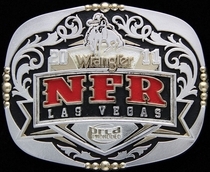 2012 National Finals Rodeo Buckle by Montana Silversmiths. 3" x 4" size. Antique Brass finish. For 1½" and smaller belts. Tarnish-free Montana Armor® protective finish. All Orders processed within 48 hours. Please allow 7 business days delivery. Click image to enlarge.